The Rush firm was established in 1921 in the outskirts of Brussels by Omer Cravillon. The machines were equipped with JAP singe and twin) and Blackburne engines and had Sturmey Archer gearboxes and belt transmission to the rear wheel. Later models got chain transmission. In 1923 the firm was taken over by an engineer called Van Geert; this man was a gifted designer but also a good rider; he took part in many races and Rush gained national and international successes. The make was known for the good workmanship and the neat finish of the bikes. The maximum yearly production in the twenties was 300-400 machines. 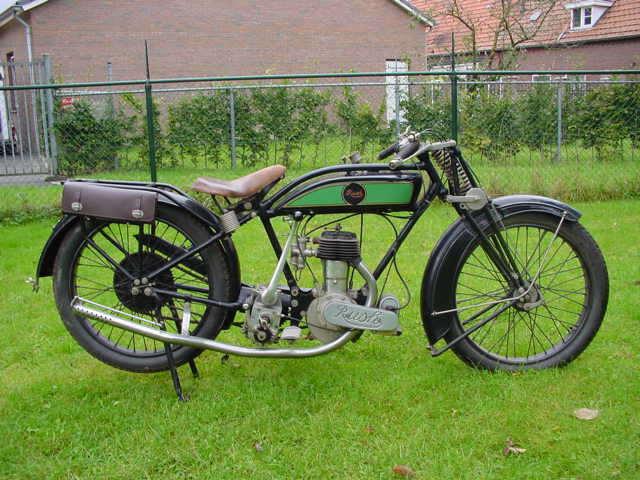 As so many smaller makes Rush did not survive the depression years; around 1931 motorcycle production stopped.